We LOVE expressing ourselves with bright colours! (Couldn’t you tell?) But what we don’t love is how tricky it is to get the right combination of colours without looking like you was just involved in a paint factory explosion. It can be a lot of fun styling colours together when you do get it right, so we're here to share our tips and tricks that we've picked up along the way to make your colourful outfit work. Stick to these 2 rules and you can't go wrong. If you're planning a colourful outfit - how about dying your hair to match? Even a few streaks or a wash-out dye will bring everything together. 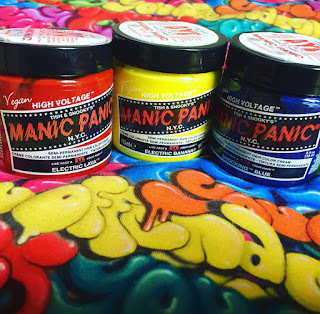 We recommed NYC punks MANIC PANIC because they’re vegan, easy to use and last a long time! We swear by them. 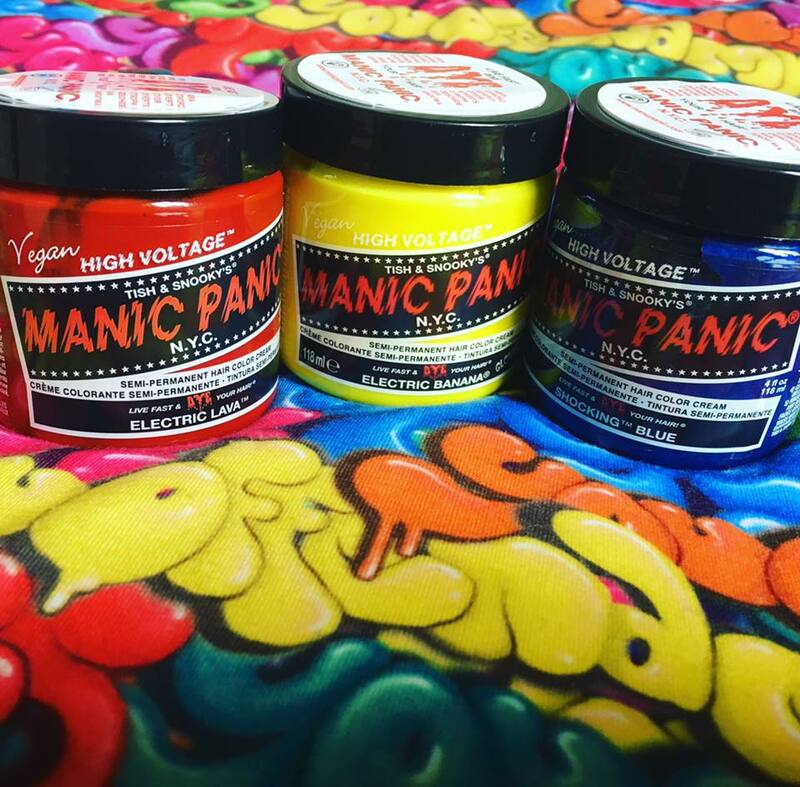 If you’re not brave enough to dye your hair, then manic panic sell great strips of clip-in hair too! An easy way to add colour to your outfit is with accessories. Choose from necklaces, glasses, wristbands, badges, hair clips or whatever else takes your fancy. You can mix and match them to compliment the colours in your outfit and add extra accents. Plus, studs, diamantes, silver, gold, chrome or holographic materials will work with ANY colour combo; they all reflect and enhance what you’re wearing. You might think pastel colours aren't bright - but when used in the right way they are just as colourful. Unlike bolder colours, pastels can be mixed with a lot more shades (as long as they're all pastel) to create a rainbow effect. How Kawaii! Wait, aren't we talking about wearing colour? Yes, but if you’re trying to create a colourful look without looking garish, try not to mix up too many colours. 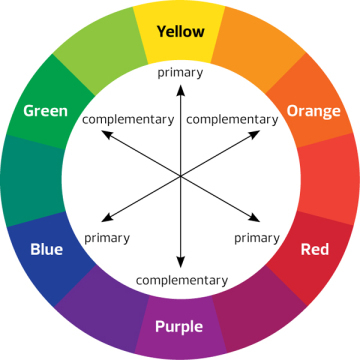 Try and stick to three main colours using the colour wheel, or add neutral shades like black, white and brown to enhance the colours you do have. You can use different shades of the same colour too. Unless of course you like looking garish - in that case - go for it! The most important advice we can give you is to wear what you are comfortable in, and stop caring about what others may think. Sure, they might stare, but as long as you like what you look like - that's all that matters. Besides, they're probably just admiring your excellent sense of aesthetic colour matching. Wave and smile! 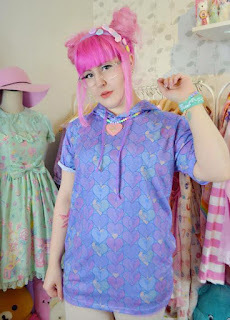 Do you like wearing colour? Post a photo of your outfit below!